The culmination of ABC's television Juggernaut, LOST, arrives on DVD and Blu-ray with the release of 6th and final season of the iconic series. Though , according to ratings, many had already jumped shipped by the time is was aired, those who remained were treated to the best of the LOST mythos and finally learned all the secrets of the Island. If you were one of those who had given up, its worth a 2nd look. And really, aren't you curious how it ends? If you've stuck it out this long you know the characters, you know their motivations (mostly) but you probably still have questions. It get even more convoluted in the season 5 finale. Without revealing too many spoilers, the "flashback" and "flash forward" focus of the series become somewhat of a "flash sideways." Characters have different perspectives and much is invested in the dynamic between good and evil on the island. This is a theme that was presented very early on with Locke and Walt playing the board game backgammon and Locke explaining "that there are two sides, one black, one white"
You probably won't be surprised they are already dead. The last episode "The End" is all about how people found purpose when, in their afterlife, future life, or sideways life, had none. Jacks final sacrifice is for himself. The Dharma initiative, the others, its all irrelevant. It was all about the relationships of the people on the island in their past, their present, and the afterlife. There may never be a television show as ambitious as this...and that is ok. It was terrifically acted, produced, and written for 6 years of great television. Recommended. 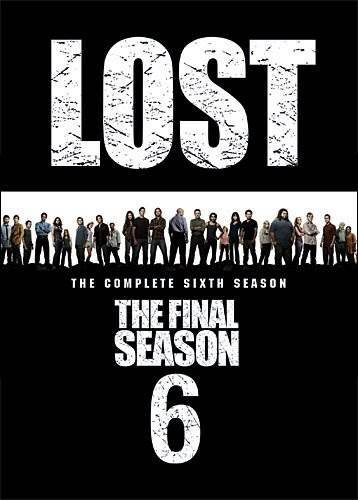 Download Lost: The Complete Sixth and Final Season from the iTunes Store in Digial HD. For more information about Lost visit the FlickDirect Movie Database.